There is an excellent Dungeon World one-shot by Jason Morningstar called The Slave Pit of Drazhu. It’s designed to run in about 2 hours, which makes it a perfect choice for demo games and for running during D&D Encounters at my FLGS. See, I get burned out on D&D, especially when I have a really bad game night. So I wanted to shake things up and offer something that wasn’t D&D. We had 10 players on Wednesday. About 8 of them signed up for Dungeon World. I picked 4 and handed the rest over to the Encounters table. I handed out character sheets– I had the 4 “iconic” classes– cleric, wizard, fighter, and thief. I also had the Pit Slave playbooks, but nobody wanted those. The cleric talked everyone else into playing Evil alignment PCs. I asked some questions about their backstory and gave them bonds to work with each other. They found the backstory questions compelling and interesting and very much engaged in the fiction. Drazhu the lich was new to lichdom and had once been a member of the cleric’s order. Drazhu had stolen the halfling fighter’s “girl.” (I changed the orc tunnel-keeper to a female human fighter). The wizard used to work for Drazhu, but “went too far.” I’m not sure what “too far” is when you’re employed by a lich, but it displeased Drazhu. The thief had been stealing something from Drazhu’s minions when he was caught and thrown into the slave pit. I’ve linked the adventure above, so you can read it if you want. My party killed the overseer and then ushered all the pit slaves towards the orc lair. Once done, the cleric said “ok, we follow,” and I grinned and pointed to the other exit. “Oooh, yeah.” After all, “save the pit slaves” is not a mission objective, here. In the killing pit, three of the PCs were eventually paralyzed, with the fighter making a Last Breath move. Death’s bargain was this: I let you live, you send me your girl. The evening was highlighted by lots and lots of 6- rolls. I got to make a lot of moves on these characters. One of these resulted in a second giant spider (“I call him ‘Jumpy! '”) arriving, and all the desiccated corpses hanging in the webs suddenly having their eyes start to glow ominously. This had little meaning in-game, but was a reflection of Drazhu’s new aspect: He knows you’re coming. The party eventually finished off the spiders and made for what they hoped would be a bridge across the bottomless chasm. In the interest of time, I skipped the assassin vines and the webs and instead put a narrow ledge leading from the tunnel to the bridge (the one on the other side of the orc nest). All they had to do was walk precariously over to the bridge. I nod. Okay, then. I had already warned these players that they might “succeed” on a miss but still have it be a terrible, terrible thing for them, and they had seen that at play several times by this point. They’d stopped keeping track of how many XP they’d earned– it was an impressive amount, let me assure you. He rolls his Discern Realities and gets a 3 on the dice. Well, damn. Me: facepalm. “OK. The ledge you and the fighter are perched on? Folds down.” Aaaaiii!!!! They both grab hold of the ledge and lever to save themselves, and the party works to get them back into the tunnel. In the process, the cleric breaks the lever and the ledge is no longer usable. Before he looked for a lever, there was none there. There had been no trap. The cleric made that trap happen. Okay, so the wizard summons up the spirit of the dwarf who originally built this cavern, who is crotchety and pissy and hates heights and people. 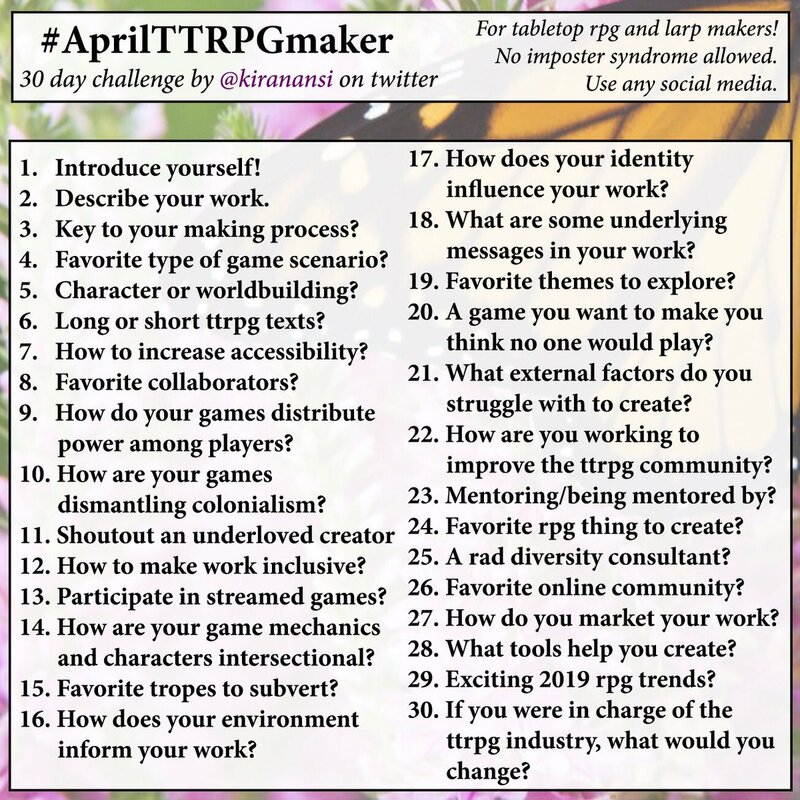 He chuckles about his ledge trap, and then tells the PCs very little of substance, other than the fact there is no other way to get across, other than the bridge. They head back to the orc nest, where everyone is dead except a couple of orcs. They kill those and go grab the treasure from the whipmaster’s chambers, where the whipmaster’s pet rat bites one of them. They continue on, to the bridge (again, no assassin vines– Encounters table had wrapped up by now). They make it to the antechamber. Turn left, and there’s a lich. Turn right, and there’s freedom. They turn left. The wizard has picked up a support beam from somewhere and goes to open the door to the left. Just as he does so, pushing the door open with the beam, the cleric yells “wait, it’s a trap!” He is not in time to defy the danger of the trap, though, and the ceiling opens, raining a zombie horde down on the PCs. They are dismayed. The cleric casts Turn Undead to keep them at bay, but oh, look! there’s a lich in the next room! They move into the next room and slam the door shut, barring it with the support beam. Yes, they just locked themselves in with a lich. The party fights both, with the girlfriend barely even acknowledging the fighter (who does, in fact, kill her, completing his bargain with Death. Later, he learns that she barely even knew he existed). They fight the lich, he eventually dies, and they run for freedom. 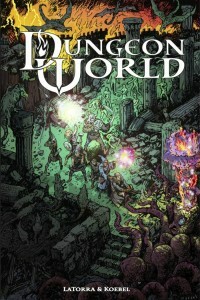 And they all want to play Dungeon World again. I told them next week or the week after, I’ll run DW as a more whimsical version, but we could possibly do a Grim World campaign a few weeks after that…. ?